The following is a piece of journal writing that I found while sorting out papers from my first year at University. I really did get myself into a bit of a state over how much reading I thought I needed to do and it was beginning to become something that would stop me enjoying what to me was a dream come true to be at University. Sometimes we need to just step back and reflect on our feelings about things that are troubling us and get them in perspective. I also discovered there’s a lot of support out there for students. I have lots of happy memories from my first year at University in 2013/14 as a mature student. 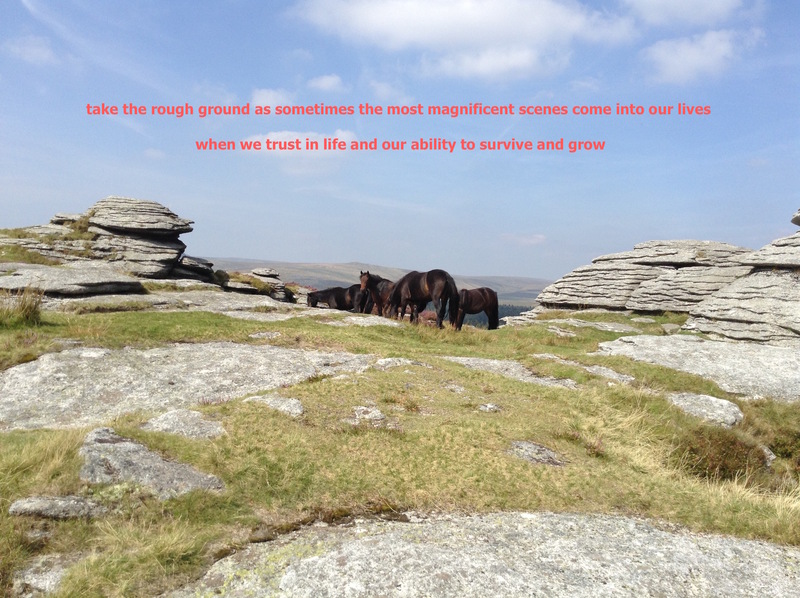 The photo was taken on holiday in Devon, England during a wonderful walk on Dartmoor when we met up with these beautiful Dartmoor ponies. Last week was walking on air, this week anxiety has crept in. I’m here to learn. I knew there would be lots of books. But I can’t read! Well, I can read – I know my abc – but I can’t read lots and recall. Yesterday got really stressed when I looked at the never-ending book lists that seemed to go on forever. And I have to read them all! It’s important! Of course I have to read them all – except the small number of optional – elst why would they be optional? I can feel myself dipping, lurching, wilting. And it’s only day 1 of week 1. Tasters and freshers over. This is reality. But I love to learn. It’s enthralling, exciting, inspiring. Yet how do I learn if I can’t read the books?? I could totally relate to this; probably most college students can. On my Shakespearean Theater I am required to read 5 tragedies, 3 comedies, and 2 sonnets to be discussed on Wednesday. I can only imagine the sleepless nights I’d spend. And I thought I had enough… Shakespeare must be really difficult to have to read so many and understand sufficiently to have a discussion. Good luck! Professors can be funny sometimes; they give you loads to study in a very short period of time. But who am I to complain? I’d gone to college solely to learn. And thank you!